Ecademy asked if I could help design another book for them for this social media and SEO business book. 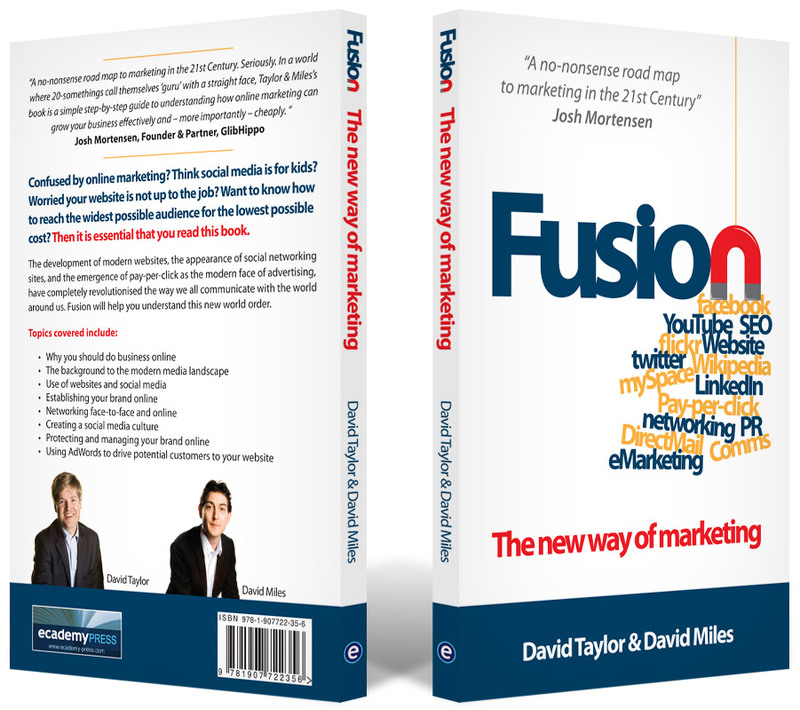 The main title is called ‘Fusion’ and relates to the importance of the various marketing tools working together as one. The ‘n’ of fusion made a perfect magnet shape which gives a strong visual element and works with the underlying message of the book.